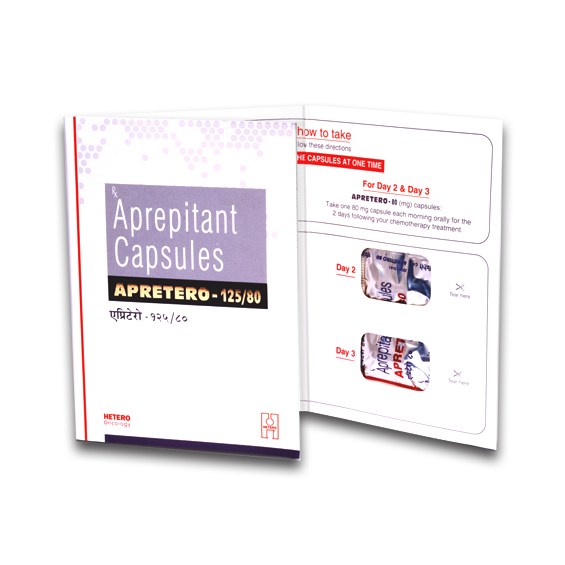 Apretero 125mg/80mg Kit is a combination of two different doses of Aprepitant. It works by blocking the action of a chemical messenger in the brain that may cause nausea and vomiting during treatment with anti-cancer medicines. Apretero 125mg/80mg Kit is used in the treatment and prevention of nausea and vomiting due to chemotherapy.